Implications of Last Night's British Airways Breaking News | No Mas Coach! For those of you who might have been asleep last night on the east coast or out partying on your Friday night, we broke the news here on BoardingArea that British Airways had increased the discount on their flights via the AARP portal. You can link back to that post here for more information. I always try and requalify as an Alaska Airlines MVP Gold 75k and American Airlines Platinum member whenever possible, and having discounted business class tickets is one of the best ways to re-qualify every year. The more I got to sitting and thinking (and playing around with the website until the wee hours) about this news, the more I realized that for some people, this could be a way for you to get a premium economy ticket for about $600 to London, or a business class ticket for around $1000. All you have to do is book a coach/premium econ ticket and then upgrade with your Avios! Curious? Here’s how. Let’s take the standard NYC-LON route that British serves. Currently, with the AARP discount, a routing for next year will only run you $630. I did a little more digging, and by playing with the dates you can lower the cost of the ticket to $595. Buy the ticket, and upgrade to premium economy class for only 13,000 Avios each way. It just so happens that you’ve got a TON of award space on British heading out on a lot of the east coast routes. Why do I see this as an opportunity? If you wanted to use your Avios to book a flight outright, it would cost you 100,000 Avios in business, and $1139 in fuel surcharges. Not to mention, you’re not earning any miles! OUCH! Business Ticket Cost with Avios – OUCH! This way, you will be flying on a PAID ticket after the upgrade. You’ll earn miles on the ticket, both redeemable and qualifying miles, and you’ll have saved a ton of Avios and Cash. I personally credit to Alaska Airlines when I fly on British Airways, and I can attest to the fact that when upgraded with Avios, the flight is credited as a paid business class ticket. Reward Ticket = 100,000 miles plus $1,139 in fuel surcharges. Earn 0 miles on the ticket. WOMP WOMP. Cash Ticket Upgraded to Premium Economy = 26,000 Avios plus ~$600. Earn 1,800 Avios on the spend. Earn 17,084 redeemable Alaska Miles and 7,593 qualifying miles. If you were planning on redeeming some miles for an award ticket, and wanted to figure out how to get around paying exorbitant fuel surcharges, here’s one good way to do it. Play around with the dates that work for you, and know that if you book into paid Premium Economy, the miles needed for an upgrade to business would be less. You can also find excellent fares connecting on into Europe, but just be aware that the Avios needed for those intra Europe flights can also be high as well. Does anyone else out there perhaps see a way to take advantage of this opportunity and redeem some miles for an upgrade on a paid ticket with British? It’s too good to be true! You can only upgrade one cabin with points. So you need to purchase Premium Economy to upgrade to Biz. 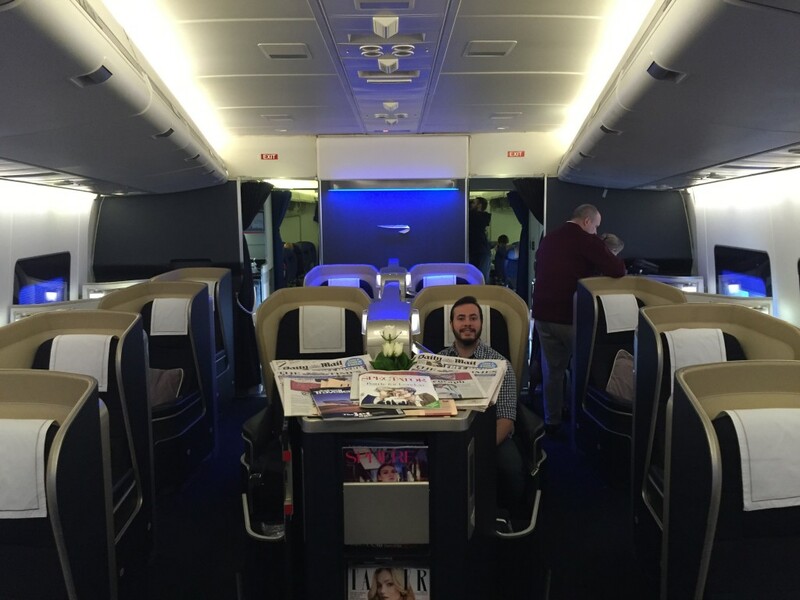 You can’t jump two classes from coach to business on BA. Too bad. You’re right! I got so excited that I missed that part. I updated the post accordingly. It is good to note, however, that even Premium Economy is a big step up from the back-of-the-bus. Hey Jon, any idea when/if AS miles are good to travel on Japan Air? By the the way, do know the US cities that Japan Air flies to & from with F cabins? Thanks! Is that $633 for an upgradable (ie flexible or semi-flex) Y ticket? Looks suspiciously cheap. Yup. They are 100% upgradeable.